Marigold Fields and Passion Fruit Facial Crème contains carefully selected plant-based ingredients. The crème spreads easily and absorbs quickly, providing abundant nourishment. 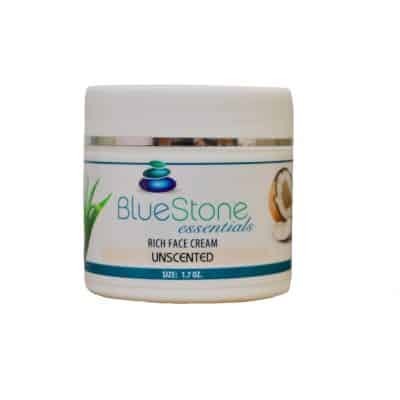 It soothes dry, sensitive skin and adds moisture to help keep the skin supple, healthy and youthful in appearance. Contains anti-aging Marigold extracts and Passion Fruit essential oil, providing deep nourishment and a soft, sweet, uplifting scent! The crème’s excellent spreadability will leave the skin feeling silky and smooth to the touch. Ingredients: Marigold Extract, Passion Fruit essential Oil, Water, Glycerin, Stearyl Alcohol. Wheat Germ (Triticum Vulgare) Oil, Polysorbate 60, Sesame (Sesamum Indicum) Oil, Myristyl Myristate, Cetyl Alcohol, Sorbitan Stearate, Phenoxyethanol, Calendula (O cinalis) Extract, Corn ower (Centaurea Cyanus) Extract, Sodium Alginate, Sodium Citrate. I absolutely LOVE this new face cream. It goes on super smooth and light, and the smell is subtle, warm and sweet. I can feel it moisturizing, but it isn’t heavy or thick. I highly recommend this!